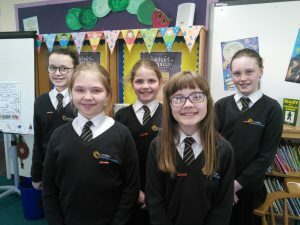 These are just some of our fantastic students who help to keep the school library looking smart. Want a particular book? Then just ask one of our Junior Librarians for help.